Get our new mobile app! Our website has a new look and we are launching our new mobile app. 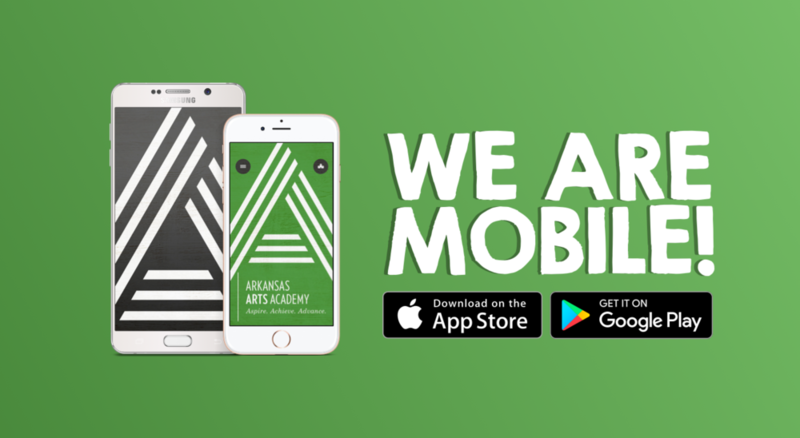 Just open your app store and search for "Arkansas Arts Academy". The app is free and it is a great way to stay up to date with the latest information about the school.